It seems to me that on a blog entitled ‘Words and Coffee’ I’ve done rather a lot of words and not a great deal of coffee. While a subject I had chosen rather more for its provision of fuel for my words than a real need to expound on its widely known pleasure, it still behoves me to speak of the gentle wonder that is the delicious, silky poison which sees me through the day. You see the thing is, I rather like it. I like it so much that I’ve done quite a study of the various places and people who can provide it to me around Edinburgh. Actually that sounds a lot like I’ve been following baristas home and taking notes. Which I haven’t been doing. At least not in any way you can prove in a court of law. 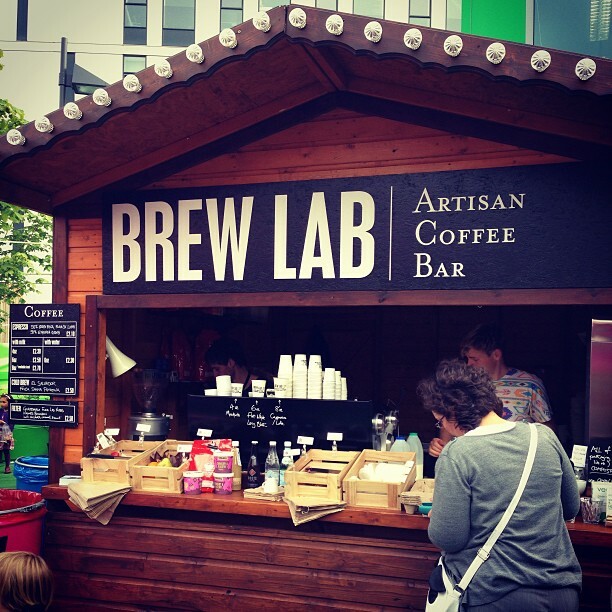 Brew Lab – Pop up. With the Edinburgh Festival in full swing it’s a delight to discover even more locations to find my favourite beverage than normal. The ‘Brew Lab’ pop up shop at BBC Potterrow is a fantastic example. It provides not only the pleasure of a very good long black but also a couple of very enthusiastic baristas who know their stuff (I dare you to ask about the fruity coffee drink and retain the amount of information you receive). A great place to sit and drink, take some notes and do a bit of writing while soaking up the carnival atmosphere of the festival. I suggest not trying to do anything productive there on a morning of Rasta Mouse shows however. Not only is Rasta Mouse himself too much of a distraction but so too are the cries of children pining for their beloved role model who is essentially a rodent promoting a drug heavy lifestyle. Whatever happened to the simple, clean and in no way substance driven delights of shows such as ‘The Magic Roundabout’ I ask you? Love Crumbs : Wardrobe of Cake. If your delight is to step back from the festival then look no further than the cakey wonder and delicious coffee at ‘Lovecrumbs’. It’s a great little place that sits deceptively nestled in Edinburgh’s pubic triangle, a disgusting phrase and one I shall try to use again wherever possible. For those not familiar with the city it’s a triangle of roads meeting which happens to also be home to a series of strip clubs in a central part of town with a name nobody really uses but is officially called ‘The West Port’. Ignore the strip clubs, go to the awesome Lovecrumbs. 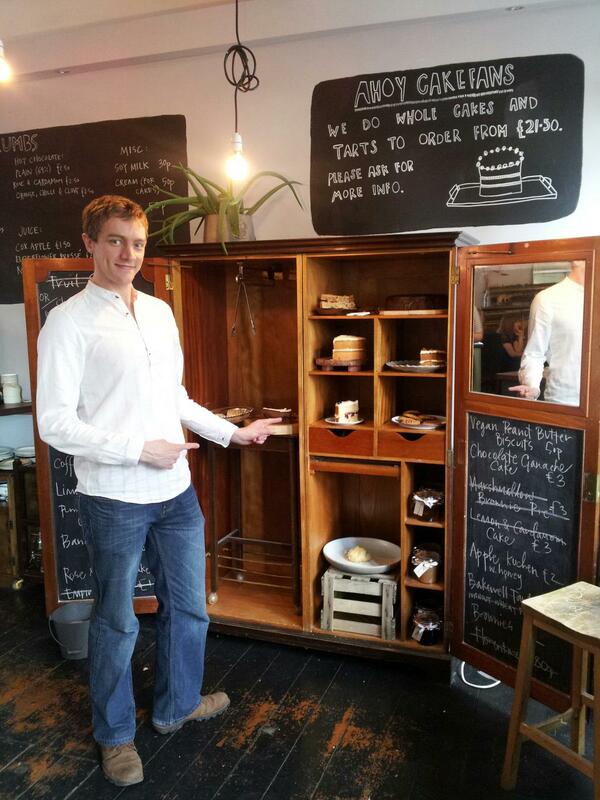 If you’re not won over by the idea of a wardrobe of cake then the great selection of tea and thoroughly delicious coffee is worth the visit. Oh the cake, the yummy amazing cake. I’d recommend a particular cake but they change with such frequency and are all so equally delicious that it would be pointless. Go. Eat cake. Drink coffee. Lastly two special notes for my two favourite coffees in town. Firstly try Wellington Coffee on George street, serving some fantastic Square Mile coffee and the only place in Edinburgh to do so. 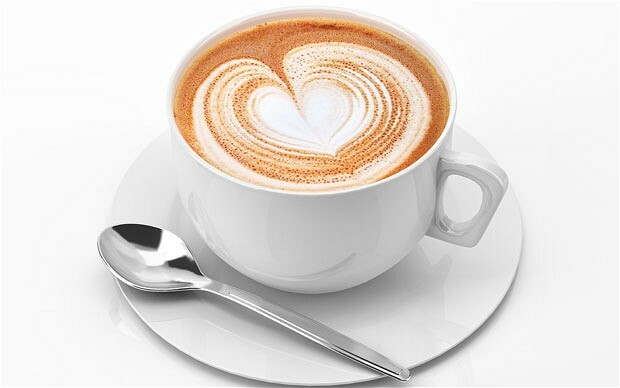 Conveniently located if the crowds are getting to you and you need a caffeine recharge. 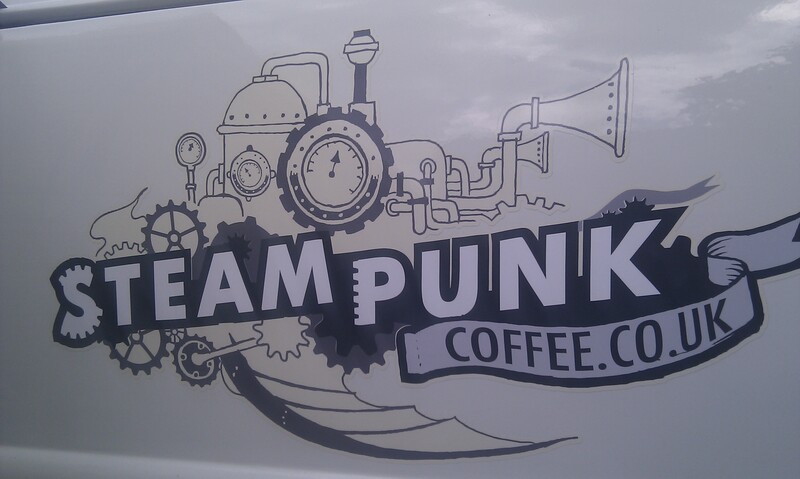 Secondly and again probably some of my favourite coffee in town, get your Steampunk on. First discovered amidst the stalls of delight at Stockbridge market, now also served at Espresso Mondo on Lothian road. Based originally in North Berwick I believe, whatever fairy dust they use to make their coffee so delicious is truly magical. It’s worth a trip to Stockbridge market just for their coffee, but frankly you probably want to get some delicious food while you’re there too. I recommend a cupcake from Vanilla Cream – tis such things dreams are made of. I’ve had various meats and fish from different stalls across the market too and have never been let down. If you’re really lucky and get there on a predictably windy Edinburgh day you can even take part in the entirely fun audience participation event they often have going on. It’s so lovely to see everyone working together whilst they shop, trying to hold the stall’s gazebos down before they’re whipped away into the sky to be lost forever. It’s always nice to get involved. If you’ve got a hand free from the coffee and cup cakes that is.